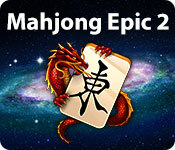 Mahjong Epic 2 is rated 4.1 out of 5 by 22. Rated 5 out of 5 by kristidumplin from NO Timer! Hooray! !....and the game play is great! This game has the very most important thing for me in a mahjong game - no timer! I'm not a speedy player. It can take some time for me to find matches that others may find more easily, and I really dislike being penalized because of that. There IS a timer - sort of. Each level has a goal time and you get a star if you complete the level in that goal time. If you don't, you don't get the star. I don't care a fig about stars. I DO care a fig about a game that's fun for ME - and that means no timer...lol. There are several lovely backgrounds you can choose from and there are enough choices of tile sets that just about everyone should find something they like. I like, too, that the tiles are large enough that I don't spend the entire game squinting or making incorrect choices because the tiles aren't large enough or the printing on the tiles is a bit murky. Don't be taken aback if the game starts right away once it opens. I was taken aback a bit - as if I'd missed an opening scene or something like that - the one you see when you start a game that lists profiles, options, and that sort of thing. All of that will show up for you when you click on the gear in the upper level corner of the game screen. As I mentioned - there are stars. You can get three stars in each level. You lose a star if you use a hint or shuffle the board and you lose a star if you don't complete the level in the goal time. You can hide the timer if you like, and I do. I didn't care much for the music, but, I rarely ever play a game with the music on, and you might like it. The game is very nice. It's got big, easy-to-see screens, nice options for backgrounds and tile sets, and NO timer!....I was in the mood for a new mahjong game and I'm glad I shopped a bit and found this one. If you like a game that allows you to play a relaxed game with no clock ticking away and gives you a chance to customize your game play, this is the one for you! Rated 5 out of 5 by weblady2110 from Really good game with many boards to choose from This is the best one out there and I have played them all. It doesn't have a story line or quest but it doesn't need it. 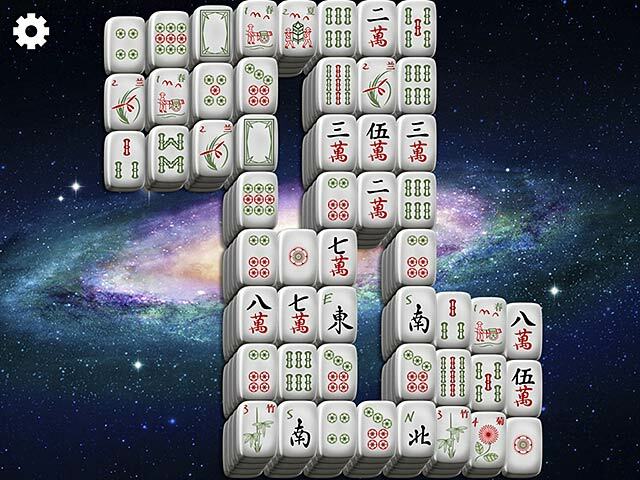 If you are looking for a good mahjong game that's not too easy this is the one. There are many boards to choose from so you will not get bored. And the music is simply beautiful. There are two different parts and when you hear it you will know. Enjoy! Rated 5 out of 5 by tbogue from The music in this game is the best. The gameplay is Fun to Excellent. And the music is the best I ever heard on a Mahjong Game.It really has a calming effect.I hope they do come out with Epic3. Rated 5 out of 5 by BigBadBob88 from Love the World Flags Tile Set! I've been searching for years for a Mahjong game with a world or US states flag tile set, and the world flag set in this game is great! Rated 5 out of 5 by intlwoman from Mahjong fanatics will love this The only thing I didn't like about this edition of Mahjong is that it doesn't tell you how many matched pairs are left. Otherwise, it's pure mahjong. No storyline, no goofiness, just for the fanatic. I'm using the tiles that are alphabet instead of the usual tile designs. Background music reminds me of "Enya". Just overall enjoyable. Some of the boards are easy, and others you need eyes going in all directions at once. The biggest challenge is not to use a shuffle. Easier said than done. Overall, great way to relax and spend an hour or two. Rated 5 out of 5 by HasNazir from Modern game Buyed this game due to the modern feel of it, with the beverages, tea tiles and the backgrounds such as the silver polished one to choose from. It takes you straightaway to a board to play when you enter, but you have the ability to choose which board you will like to play and earn rewards. It has flag and alphabet tiles too. 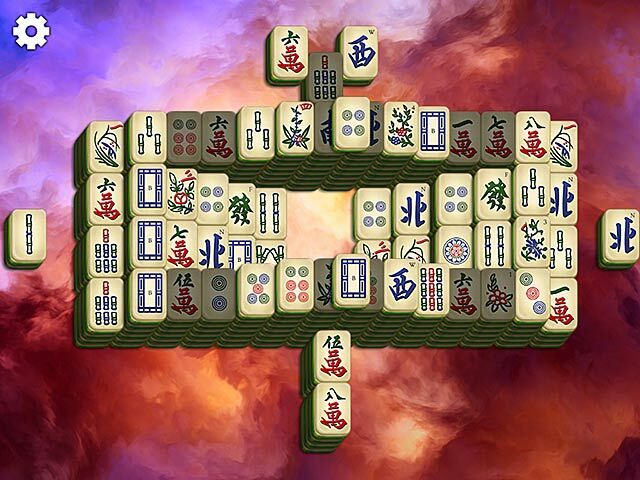 Rated 5 out of 5 by pennmom36 from Epic Indeed Another Epic Mahjong with large and colorful tiles. 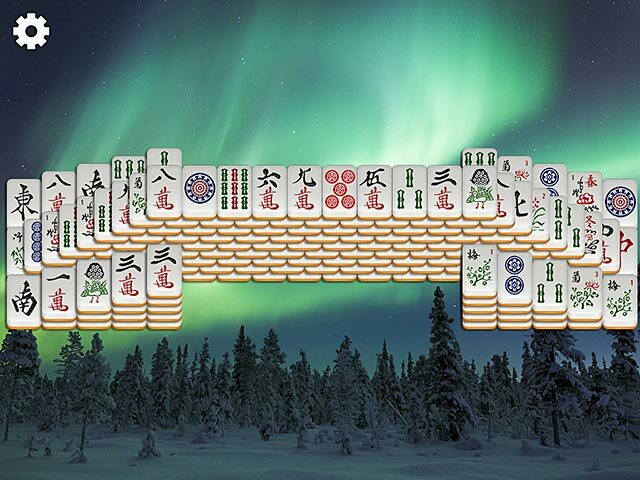 There are 360 different Mahjong boards available, 24 very colorful background pictures to choose from and 7 different Mahjong tiles available. The goal is to remove all tiles from the board by matching identical tiles. You can earn up to three gold stars per board if you complete the board, use no hints or shuffles and complete the board within the goal time. There are an abundance of achievements to earn as well, enjoy! Rated 5 out of 5 by RENYA50 from STUNNING GAME... THIS GAME IS BASIC MAHJONG AT IT'S BEST.. THE GRAPHICS ARE REALLY GOOD,, BUT THE MUSIC IS FANTASTIC,, NICE TO HEAR SOME NEW ORIGINAL MUSIC IN A GAME,, USUALLY THEY JUST RE--USE MUSIC BETWEEN SOME GAMES,, BUT THIS ONE TOPS THE MUSIC CHART FOR ORIGINALITY... KUDOS TO THE GAME MAKER OF THIS GAME!!!!! Rated 5 out of 5 by Lyndy20 from A very pleasant Mahjong game Just Mahjong. No thrills, bells, whistles, flashing lights, bonuses, not even a storyline. Even the game options are hidden, accessed via the little wheel at the top of the screen. I love it's simplicity. Tiles are large and clear. There is a choice of gorgeous backgrounds and different tile sets. The music is very soothing. There is challenge, in that there are goals to achieve and three stars to play for. There is a choice at the end of each board to restart or move on, but you can also select any board to play/replay via the game options. With 360 levels, this game is a steal.